Scatter the Snow. Snow mold could result from extended periods of snow coverage on parts of the lawn. This disease grows beneath layers of leaves during the winter season. Scattering built-up snow can prevent the development of snow mold and also stop air from getting to the soil. This could further prevent the soil from rejuvenating normally in the spring. Clean Up. Leaving leaves and other debris on the lawn during the winter could be tremendously detrimental. These items could attract damaging pests, create the perfect conditions for diseases and smother the grass. Therefore, it is important to quickly rake away dead leaves to avoid wet spots that could become moldy or mossy. Every couple of weeks, you can sweep the lawn to prevent unwanted damage. Avoid Excessive Traffic. Only a moderate amount of traffic should be allowed on grass under snow coverage. If there is excessive traffic, your lawn will have a hard time recovering. This will cause it to be slower in becoming green when spring comes around. Walking on wet lawns can cause the lawn to be compacted, which could kill the grass. Keep the walkways free of snow and ice so no one will be tempted to walk across the yard. Additionally, you should never allow any vehicle to be parked on your lawn. 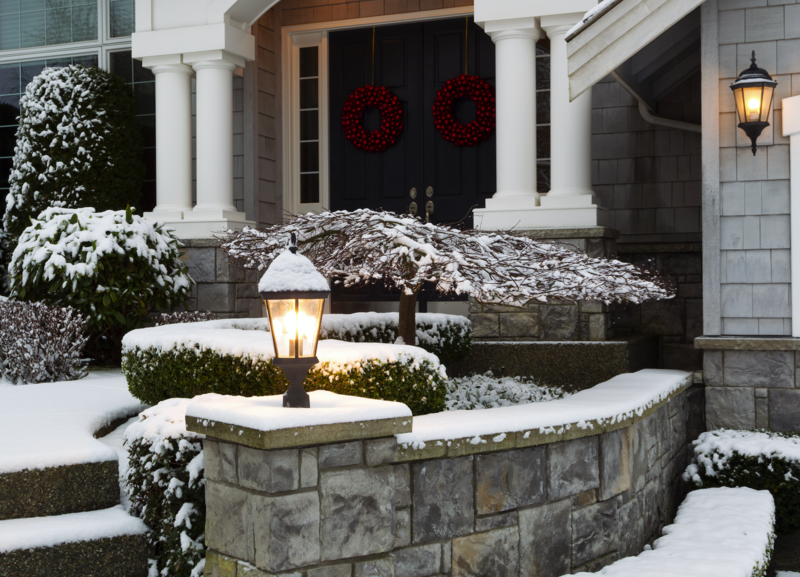 These landscaping tips are just a few of the ways in which you can protect your lawn during the winter. No longer is the backyard just a grassy area dedicated to energetic children and pets. For many, the backyard is an extension of the living space. More and more homeowners are creating comfortable outdoor spaces by incorporating features of the indoors. 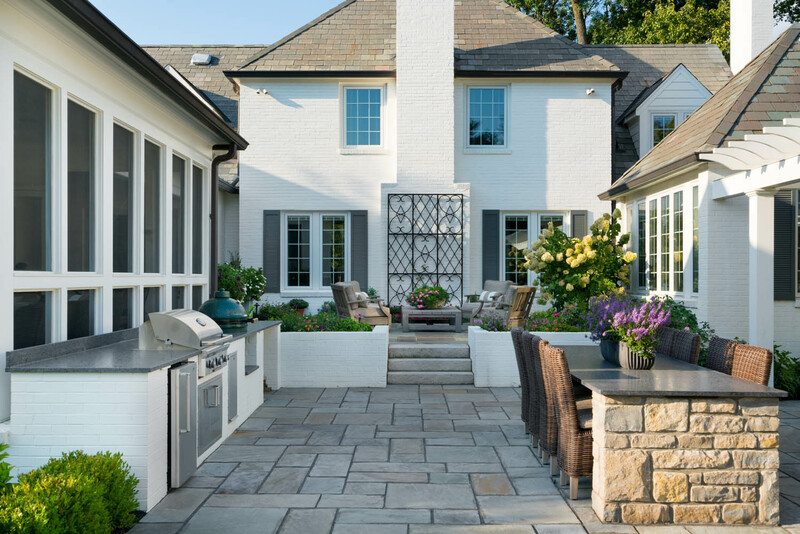 The outdoor living trends of 2017 are set to continue helping homeowners to create spaces that fit their lifestyles. 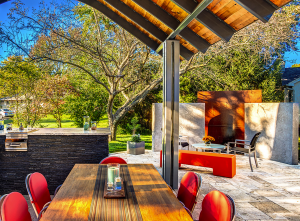 These trends include outdoor kitchens, decks and patios, lounge-worthy furniture and visually-appealing and functional lighting. These features can be combined to create the perfect setting. Creating a beautiful and comfortable outdoor space provides the ideal location to decompress and entertain family and friends. Resurgence of Natural Materials. Minimalistic designs have been dominating furniture, décor and hardscaping materials for years. However, you will notice a renewed focus on more natural, less geometric designs. Many homeowners are moving away from the clean and modern look and going for a more do-it-yourself, old-fashioned aesthetic. The year is trending towards features like swing seating, smaller outdoor furniture and free-form decks. These features create more organic and authentic spaces. Hyper localism. 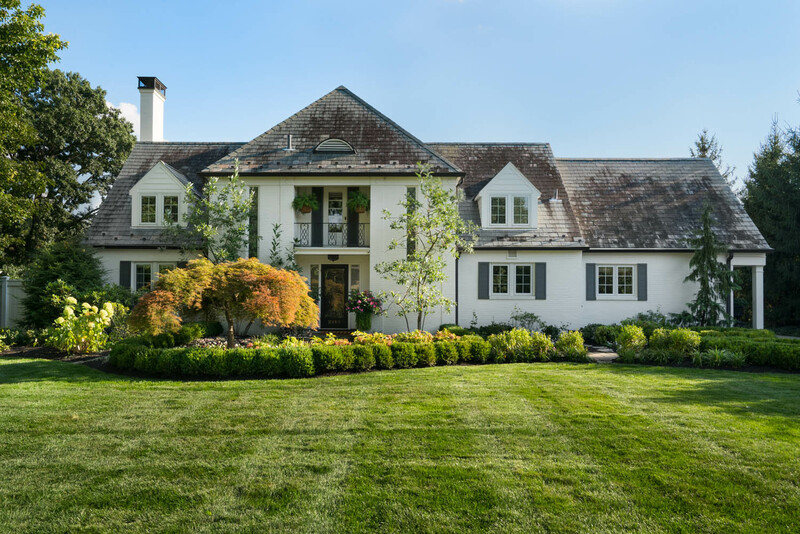 Many landscaping designers are trending towards locally-sourced plants to bring greenery and color to the outdoor space. This includes both native and endemic plants; endemic plants are native to a specific ecosystem. This trend celebrates regionalism and helps to guard against the effects of climate change. Color Blocking. Color blocking is now making a splash in landscaping designs. This fashion trend involves using discrete blocks of colors to make a bold statement. This is a trend you will see in features like color blocked patio walls. In addition, color blocking can be used to frame or highlight specific plants or areas around the yard. These outdoor tips and trends can help you to make wise decisions about your landscaping projects.